Recent headlines confirm that the SWIFT (Society for Worldwide Interbank Financial Communication) has suffered multiple cyber attacks. SWIFT is a privately run Belgium-based provider of financial messaging, considered essential to move money around the world. The system is so important that to be denied access to it is essentially to be cut off financially from the rest of the world. That is what happened to Iran in 2012 in conjunction with sanctions and the pain was severe. Many believe that regaining access to SWIFT was the Iranians top priority in negotiations. It is important to understand that SWIFT is not, at least not directly, controlled by the United States. Rather, it is governed by a multi-nation board. Still, it is viewed to be part of the United States-led global financial community. American sanctions carry tremendous weight. Myth No. 3: The United States can continue to control the world financial system. Although not without controversy, the extraterritorial provisions of US-led sanctions provide the backbone to freezing Iran out of the global economy. (That is, the ability to impose harsh penalties on non-US firms for conducting significant business or transactions with Iranian companies.) China’s Bank of Kunlun, for example, was sanctioned by the United States in 2012 for facilitating “significant transactions” and financial services to designated Iranian banks. The effectiveness of these provisions, however, relies in part on the structure of the international financial system; imposing tougher sanctions for a better bargain rests on the premise that this structure will remain intact. The truth, however, is that major shifts in international banking severely undermine the prospect of maintaining a robust sanctions regime. For example, some of the hardest-hitting rounds of sanctions came in 2012, when the Belgium-based company of SWIFT—the world’s largest financial messaging system—cut off Iran as part of EU sanctions. This move froze Iranian’s access to international markets, devastating its trade and commerce. This sudden move underscored to other countries the inherent risks in relying on a single access point to international banking, and encouraged them to take a number of moves to mitigate those risks. China, for example, is on schedule to launch an alternative to SWIFT, possibly by the end of 2015. Known as the China International Payment System, it is designed to process cross-border renminbi transactions, in a welcome alternative to the patchwork system of processing Chinese currency payments—making the renminbi a more global currency. The system will provide a legitimate alternative to SWIFT. Russia recently launched its own alternative to SWIFT for domestic payments, as part of a larger move to get away from Western dominance of the international financial system—specifically citing fears of exclusion from SWIFT stemming from Western sanctions over the escalating crisis in Ukraine. Reality versus myth. Calls for a “better deal”—relying in part on strengthening sanctions—do not take a realistic view of the current state of the global sanctions regime against Iran. The system is changing, and domestic politics has yet to catch up. Decades of sanctions have had diffuse global consequences, and emerging trends show that US-led sanctions will not enjoy the same level of legitimacy it has in the past. Given US economic dominance and the appearance of effectiveness, it is understandable how sanctions have become somewhat of a panacea for international diplomacy. The reality, however, is that without better evidence-based policy-making, the United States will find itself unprepared to deal with the broader spectrum of sanctions consequences. This commentary is significant because it is a warning to America that we will not be able to rely on economic sanctions in the future to curtail nuclear development. SWIFT works because it is the only credible alternative for international transactions. Getting cut off means losing access to the world. That is why the Atomic Scientists note the significance of a China-led alternative emerging. It is important to note, however, that China’s efforts are only credible if other nations agree to use their cross-border payment system. It has to work and it also has to attract other participants to be effective. One of the attractions is that many countries fear American spying through SWIFT. Edward Snowden’s leaks indicated that SWIFT was a means for American spy agencies to monitor international transactions. China unveiled their alternative to SWIFT, CIPS (China International Payment System) at the end of last year. This coincides with their creation of an alternative to the Western-led World Bank. Our government tried to keep other nations from working with the Asia Development Bank in order to maintain greater control of international finance. Those efforts were ineffective as 57 nations joined the bank as founding members including many key American allies. According to experts such as former Treasury Secretary Larry Summers, this was a clear sign that American financial hegemony was ending. One of the first projects of the new Asia Development Bank was in Bangladesh. Interestingly, not long afterward the Bangladesh account at the Federal Reserve was robbed for $81 million by hacking the SWIFT system. While that is likely nothing more than a coincidence, it does inspire some interesting thoughts. Would it benefit CIPS if SWIFT were seen to be increasingly vulnerable to cyber attack? For their part, SWIFT denies that any of their systems have been compromised even as they raise awareness regarding cyber vulnerabilities. Bangladesh is not the only victim of a SWIFT-connected attack. Vietnam also claims there were hacking attempts. Ecuador is victim number three. It is likely that others have been targeted as well and this has begun to erode confidence in the network. Now, there are two reasons (spying and perceived vulnerability) to look to CIPS as an alternative to SWIFT. If enough banks join CIPS, SWIFT’s economic sanction potential will be eliminated. There is no doubt that China is making these points with all trading partners and allies. This goes along with the recent establishment of a gold-yuan fix and other measures seemingly undertaken to replace our dollar-based system. As we have shared before, China’s official policy is to replace the American dollar with a global currency. They publicly state that they wish to “de-Americanize” the world. Overall, it seems as if China might benefit from the hacking of SWIFT. And, we know that China knows how to hack. Is it out of the realm of possibility that Chinese hackers might target SWIFT? When you examine motive, means, and opportunity, China has to at least be considered as a suspect. 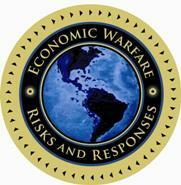 We believe that the attacks through SWIFT could well be the next battle in our ongoing global economic war. While this might be simply criminal activity attempting to steal money, we must acknowledge that the geopolitical stakes are very high.